This is an incredible and unique 1842 Argentina 8 Escudos struck in silver. 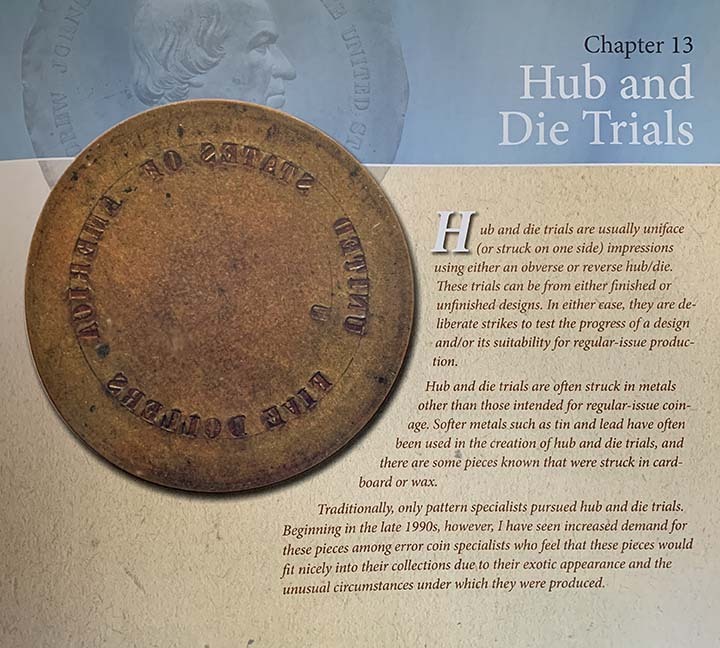 It is an obverse die trial with a uniface reverse. 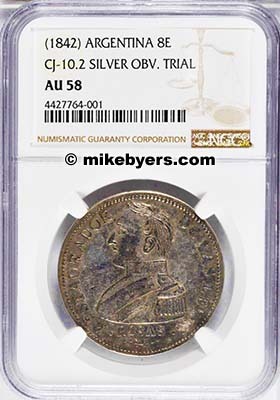 NGC authenticated and certified it AU-58. It is unlisted in Krause and is referenced to CJ-10.2. It is the obverse design for Krause KM 14 (the 8 Escudos struck in gold). 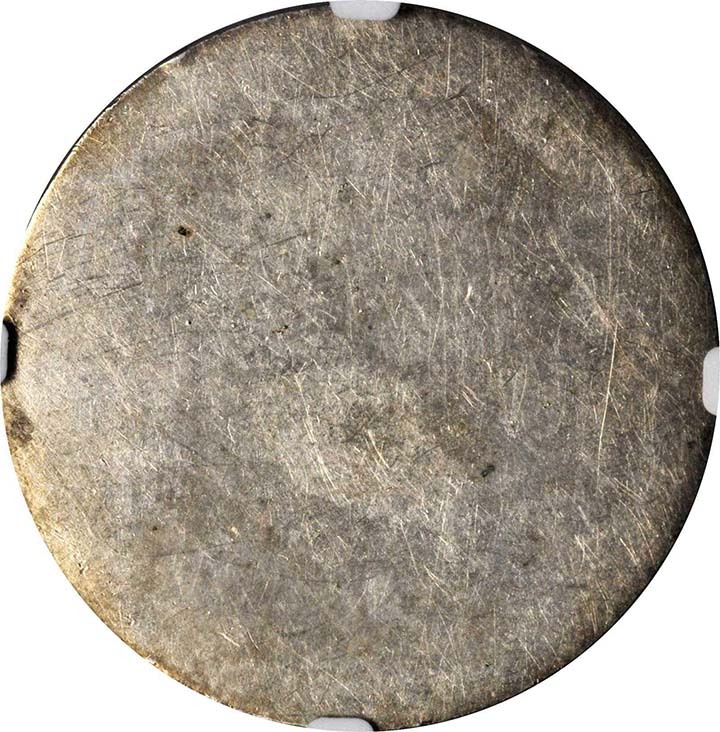 It is fascinating that this unique obverse silver die trial exists for the already excessively rare gold 8 Escudos. It features the portrait of Juan Manuel de Rosas. There are only 5 known gold 8 Escudos on this 1 year type, in private hands. 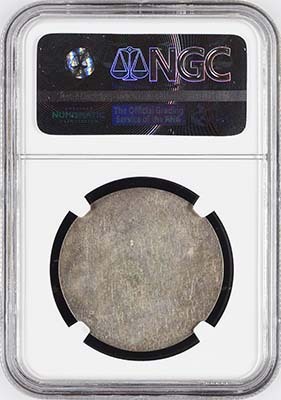 In 2012, Heritage Auctions sold a NGC XF 40 for $51,750. 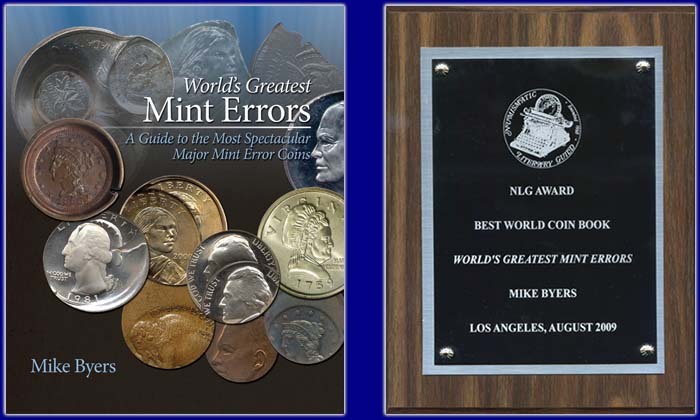 The gold 8 Escudos is not priced in Krause and this silver 8 Escudos is not listed. This silver 8 Escudos is literally as struck with no adverse marks or handling wear. It is fully struck with grey and blue hues and original luster. 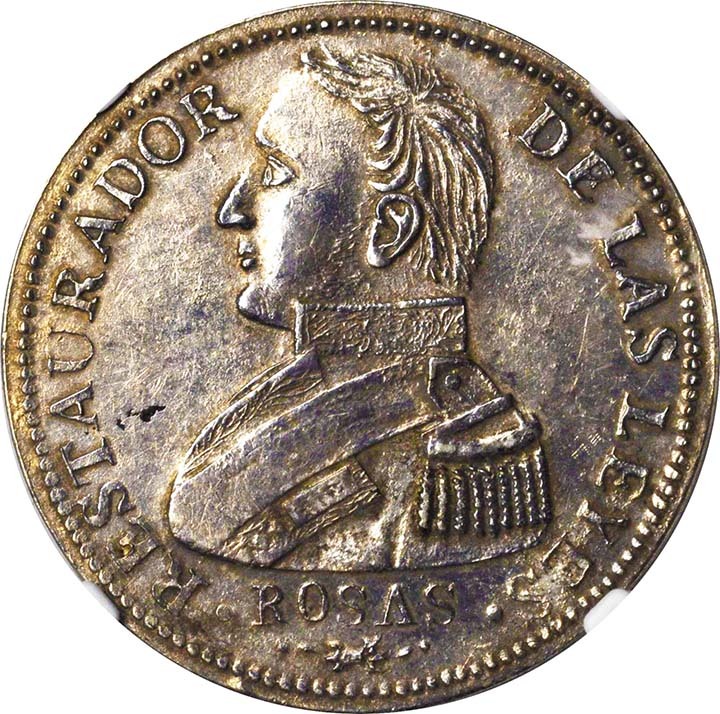 This unique silver 8 Escudos obverse die trial struck in 1842 at the La Rioja Mint is one of the most spectacular coins from Latin America.